Think you would enjoy a challenging. but relaxing evening biking in the wilderness on empty trails with both a sunset and a nice view of city lights, then join us on this summer time ride to Mini Moab. Mini Moab is located at the top of Coal Canyon above the 91 Freeway; this spot provides views of the Fremont Canyon Wilderness as well as Orange and surrounding counties. This ride is for experienced off-road riders, in excellent cardio shape, that have some experience with evening/night riding. Please review the 1-through-5 Difficulty Ratings to help you evaluate your readiness to participate in this program. This program has the distance/elevation of a level 5 program, but the ride time can accommodate a slower pace. Motorized recreation vehicles of any class or type are not permitted for recreational use. The route follows the ridge line above the 241 and 91 freeways and on the way to Mini Moab the ride will pass the old coal mine, Fremont Canyon weather station, the Tecate Cypress restoration area and Lizard Rock. During a break at Mini Moab we will enjoy the sunset and the city lights. The break at Mini Moab will allow ample time for slower riders to re-group and have a break. 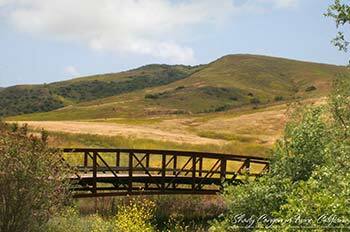 We will return to the Irvine Regional Park via the same route with twilight/moonlight. Please note, the ride is 17 miles long, with approximately 2500 feet of elevation gain. Also note that there is a steep climb in both the out and back directions and some sections may be hike-a-bike for some riders. It is important that participants bring enough food and water for a ride of this length and the weather conditions. 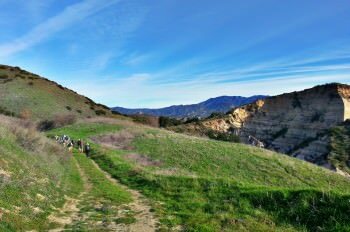 This program originates in Irvine Regional Park at Lot 15, and ventures into the Fremont Canyon Wilderness Park and Cleveland National Forest.